In 2010 the value of offshoring investments in Eastern Europe grew by 15%. Poland is the fastest growing player in the sector with 20% growth per annum. According to experts ABSL in the next few years Poland can become the largest European advanced services center for global businesses. The main advantages of the Eastern European countries to the investors are the large labor pool and its relatively low labor costs compared to Western European countries, good transport infrastructure and office space, high quality of services and political as well as economic stability. As the results of the analysis conducted by McKinsey & Company, 33,000 jobs were moved to Eastern Europe in 2010. The vast majority (30,000) were the vacancies created in the existing business service centers. Only 8% were the result of new investments. “The business services industry in Eastern Europe is growing faster than the market in India” – says Peter Peters, member of the ABSL and director of McKinsey & Company branch in Dusseldorf. “Although India is still the number one in the world when it comes to outsourcing and offshoring of business processes, Eastern European economies led by Poland are becoming increasingly serious competitors” – he adds. 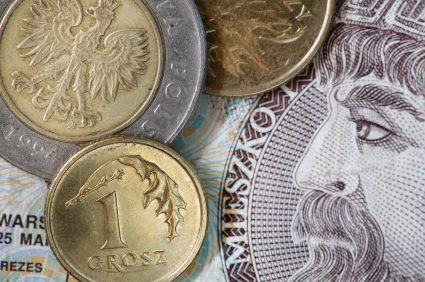 Market value of business services industry in Poland in 2010 reached 2.5 billion USD. This is primarily due to the expansion of the existing investors in Poland. According to Krystian Bestry, Vice President and Managing Director of ABSL, Infosys BPO Europe, already present in Poland, is responsible for approximately 65% growth across the industry in 2010. In 2010 Infosys BPO Poland has expanded its activities on behalf of its parent Infosys Technologies Ltd to provide implementation and maintenance services to its SAP clients as Daimler, Adidas and Rio Tinto. The Xerox Company, took over the ACS, one of the BPO leaders in the U.S. market, thus becoming one of the world’s largest providers of advanced business services. In 2010 IBM opened its shared services center in Wroclaw, McKinsey set up R&D centre in Wroclaw, Sony Pictures Entertainment opened its center for financial and accounting services in Tricity, IKEA started its shared services center in Poznan, Amway opened business services center in Zabierzów near Cracow, ACP Pharma opened financial services centre in Rzeszów, Kennametal opened its service center in Poznan, Citi Bank opened its R&D services center in Lodz. Additionally, in early 2011 new operations were initiated by Ernst & Young (shared services center, Wroclaw), BSH (procurement center, Lodz), McKinsey (support services center, Poznan). In planning are shared services center by Tate & Lyle in Lodz, IT software development center by BMS Bankruptcy Management Solutions in Lodz, Nordea’s operations centre in Lodz, Intrum Justita’s service center in Bialystok. Members of ABSL are convinced that the inflow of new projects, especially advanced business services such as KPO and R&D is possible provided that Polish economy will be actively promoted to the international business community, and if the government carries out a coherent and clear investment policy and maintains investment in human resources. “It is not enough to organize a single event, but it is important to constantly promote the greatest strengths of the Polish economy, above all, the enormous pool of qualified staff and friendly investment environment. Polish Presidency in the EU can be a starting point for a stronger, long-term campaign to promote Poland in the business field” – says Jacek Levernes, Vice President ABSL and Hewlett-Packard GBS in Europe. Get in touch if you would like to research the options of opening an R&D center in CEE.